This is a project achieved in 2014 for the 40th Anniversary of Synergy Percussion, the oldest and most acclaimed Australian ensemble of Contemporary Music of Western Tradition. 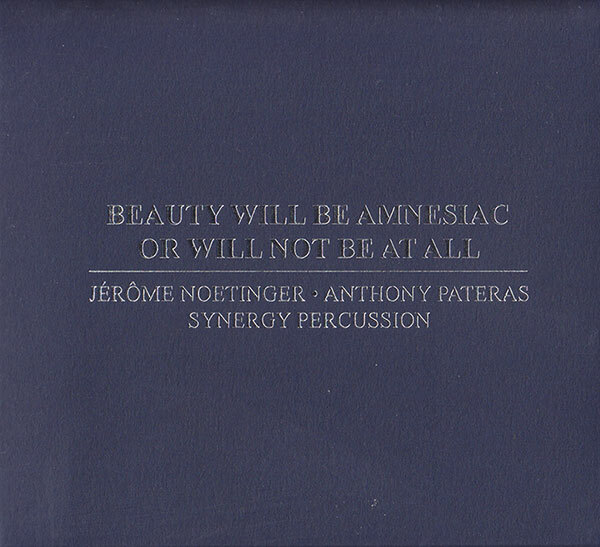 For this event, the two electroacoustic musicians and composers Jerome Noetinger and Anthony Pateras have joined. They enjoyed such a similar and meaningful artistic collaboration, based on 1 hour live, rich in electric styles and over one hundred percussive instruments, including the well-known 17’’ tuning microtonal metallophone by Xenakis. It was the same used in the Pleiadis, multi-faceted composition dating back to 1978 which is still a major point of reference in contemporary music composition dedicated to music ensemble made by percussionists only. Even in the given composition, the movements designed by Pateras are fourfold and the complexity of the plots can be perceived also by those who are not used to such rhythmic structures. However, the vibrating transitions, the ruling psychoacoustic features, the virtuous and multi-rhythmic evolutions are formal entities, thus every experienced listener can grasp their beauty and flawless execution. The History and Culture of Music Education constantly works to explore and popularize new organised models of Sound Phenomena. It is not by chance that the title is an explicit quotation from ‘Dance of the Signs’ by Sylvère Lotringer, an essay published by Semiotext(e), whose author, together with Jerome Noetinger has been interviewed by Pateras. The short summary (the interview was by mail) has been published in the extremely interesting 24-page booklet included which is an original commentary on Technology, Culture, Ethic and Media. “Beauty is never predetermined, it’s always surprising, unexpected, and ultimately unexplainable.” According to some, the research of a new code and at the same time the nostalgia for a non-standardized, creative, multidisciplinary approach are maybe not so opposed. Discussing it stating from such a strict academic planning is finally absolutely surprising and stimulating.